www.africanecosystems.co.za - the official website of GES (Pty) Ltd.
On 28 August 2014, Eskom submitted its proposed 2015/16 tariffs updated to recover the above revenue to the National Energy Regulator of South Africa (Nersa) for approval. Eskom has also submitted structural changes to Nersa for the time-of-use (TOU) tariffs. The tariffs as approved by Nersa will come into effect on 1 April 2015 for non-municipality tariffs (Eskom’s direct customers) and on 1 July 2015 for municipality tariffs. Nersa has approved an annual average price increase of 12.69% for 2015/16, which is made up of the 8% annual price increase approved in the original MYPD 3 decision and an additional 4.69% as allowed through the revenue clearing account (RCA) mechanism which forms part of the Nersa regulatory methodology. 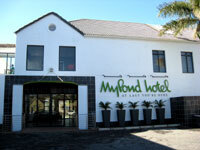 MyPond Hotel in Port Alfred made the choice! The MyPond Hotel in Port Alfred, Eastern Cape, has become the first installation in South Africa and, quite possibly, in Africa, to use geothermal energy for heating and cooling of the building. First Geothermal System in South Africa goes live! We are busy with 30 000m2 developments throughout the country. Watch this space for on-going developments. Save our planet! - Ask GES how to help. Burning fossil fuel such as coal is now understood as a self-defeating proposition. Why not use the sustainable energy systems that are available to us, such as geothermal cooling and heating, wind turbines, and solar and photovoltaic energy. These represent 59% of the scale of available energy. And you can also earn carbon credits and save our planet instead of depleting the current resources and killing our planet. To ensure that your geothermal installation is successful, we only use the products and services of companies, engineers, installers, certified electricians and plumbers, who have been accredited by the Canadian GeoExchange Coalition.